Daily: 8:30 a.m. - 4:15 p.m. 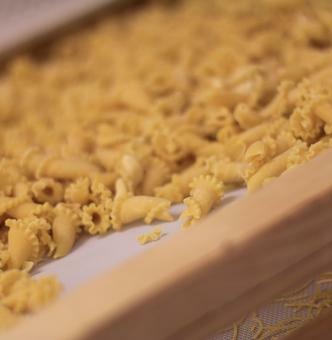 Warm meals: 9:00 a.m. - 4:00 p.m.
• highest-located pasta manufactory with show kitchen - we make your favourite paste on request!! Quality coffee meets refreshing drinks at 2,900m. • breakfast from 8:30 a.m. - 11:00 a.m.
Daily: 9:00 a.m. - 4:15 p.m. Warm meals: 11:00 a.m. - 3:30 p.m.
Culinary highlights on the Stubai Glacier & highest-located toque-awarded Restaurant of the world - awarded with two toques by Gault & Millau and 15 ponts (2018). 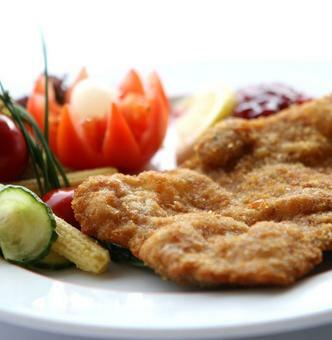 In a noble ambiance, chef David Kostner serves fine Austrian cuisine made from fresh regional produce and dishes with international influences..
Daily: 9:00 am. 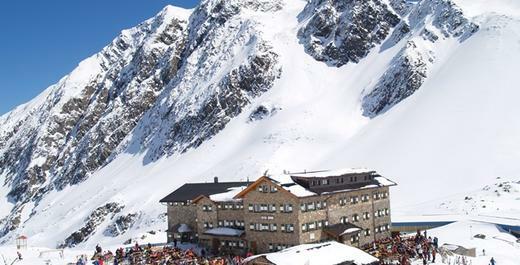 - 4:00 p.m.
Austria's highest-located restaurant at 3,150m with a breath-taking view of more than 109 3,000m-peaks. • Specialites: burgers - a must for burger enthusiasts! You can conveniently get to the restaurants and bars at the Gamsgarten mountain station by taking the Gamsgartenbahn lift. With 1,600 seats inside and outside on the sun terrace this is our biggest restaurant in the ski area. Daily: 8.30 a.m. - 4:15 p.m. 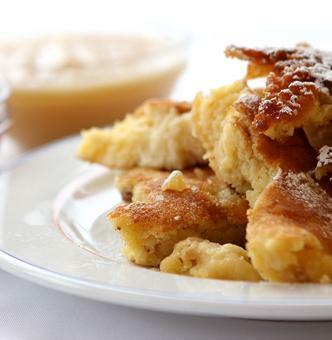 The Tyrol's biggest serviced restaurant offers traditional Tyrolean cuisine and home-made pizza on the large sun terrace. The après ski hotspot in the ski area - party, refreshing cocktails, different kinds of champagne & snacks at the Gamsgarten mountain station. Daily: 8:30 a.m. - 4:00 p.m.
Our young guests particularly love our children's restaurant at the Gamsgarten mountain station. 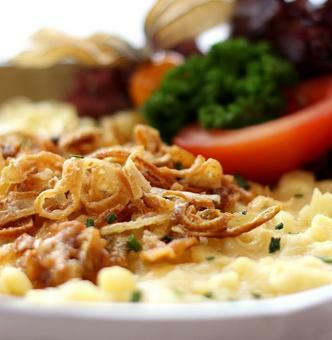 Food and supervised lunches can be booked via the Neustift Stubai Glacier ski school. 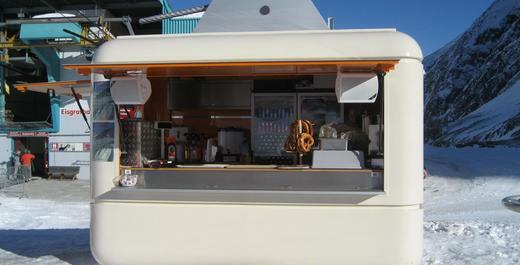 The mobile “Eiswürfel” bar offering snacks and refreshments is stationed at the mid-station during the winter. The Dresdner Hütte of the German Alpine Club is only five minutes from the Fernau mid-station. 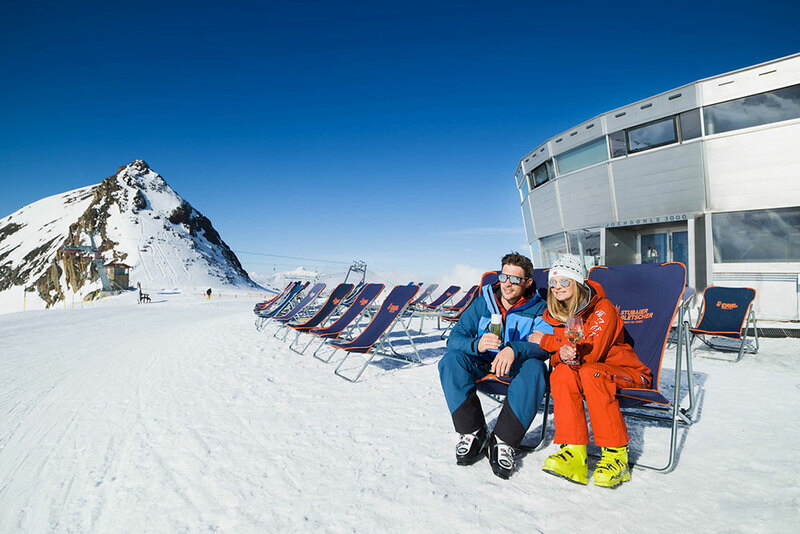 Located at the base station of the Fernau 6-seater chairlift, the Bödele hut invites to spend some time in good weather. 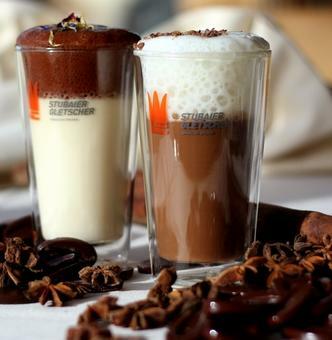 Give time for two as a present with a voucher for the restaurants on the Stubai Glacier, e.g. a generous breakfast at 2,900m. 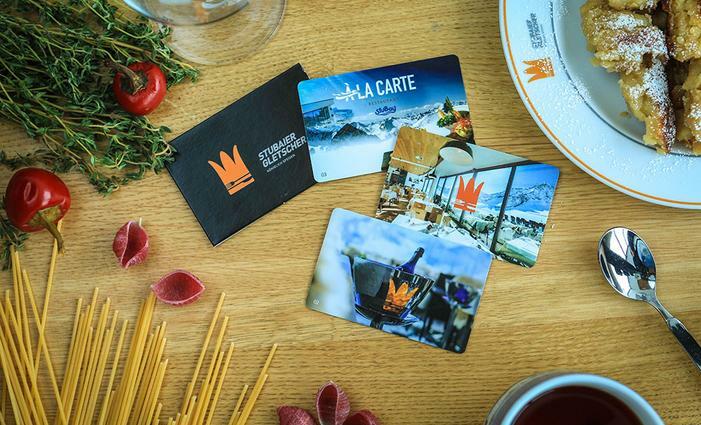 High up in our restaurants on the Stubai Glacier or in the three restaurants of the StuBay leisure centre in Telfes: our top priority is qualify, freshness and fair prices. In addition to fresh produce, if possible regional produce, our quality awareness is also demonatrated by offering only dishes that are cooked in our kitchens. 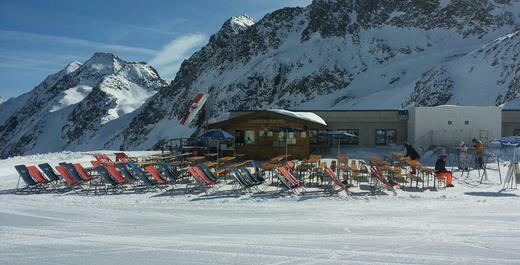 Instant or convenience food are not used at the restaurants of the Stubai Glacier. Open: daily from 10:00 a.m. - 10:00 p.m.
Open daily: 10:00 a.m. - 10:00 p.m. Warm meals: 11:00 a.m. - 9:30 p.m. In a modern ambiance and with a fascinating view of the Stubai Alps you can enjoy delicious burger variations and crispy salads. Moreover vegetarian delights and menus for children are offered. You need not enter the swimming pool or sauna for visiting the restaurant! 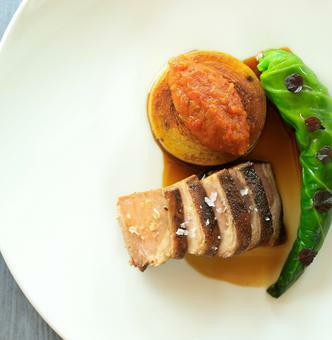 TIP: We gladly organise your private celebration or company event and create a delicious menu according to your wishes. Freshly squeezed fruit juices and colourful smoothies – after sweating, these vitamin bombs are just the thing. For the small appetite there are light soups and delightful salads. 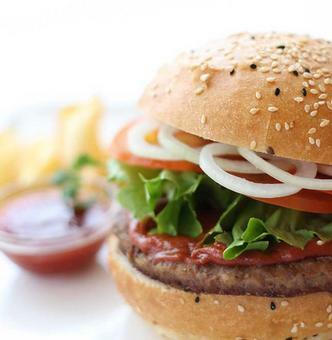 Burgers, pizza and chips – of course freshly cooked and swiftly served. Our speciality are our homemade toasts served on fresh, think pizza bread. 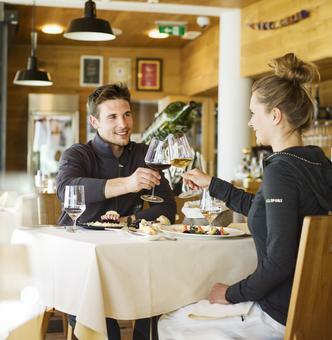 Stories from our restaurants in the Stubai Blog. How is the food be delivered to the Eisgrat mountain station at 2,900m with the new 3S Eisgratbahn? Skiing holidays are family holidays. But sometimes parents like to enjoy a short break for two.